This little one turned four yesterday. The night before her birthday she was so excited she couldn’t sleep. 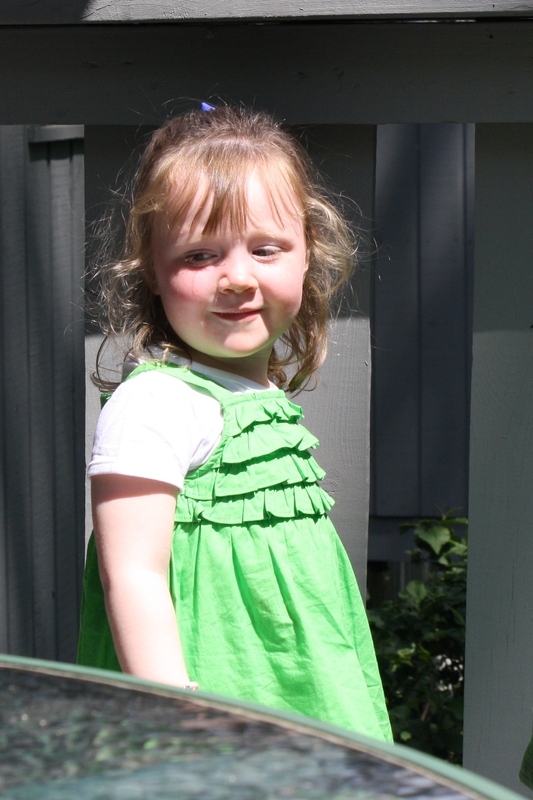 She’s been looking forward to turning four for a long time now. I’m not sure the rest of us have, she was a fantastic three-year old. Stu and I left her birthday presents at her seat at the table, and she bounced with joy when she saw them. 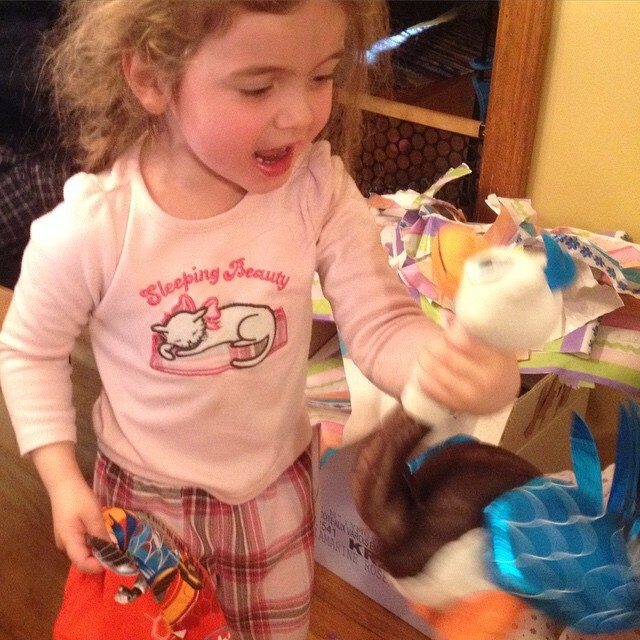 So excited to open them that she let her sister help her. 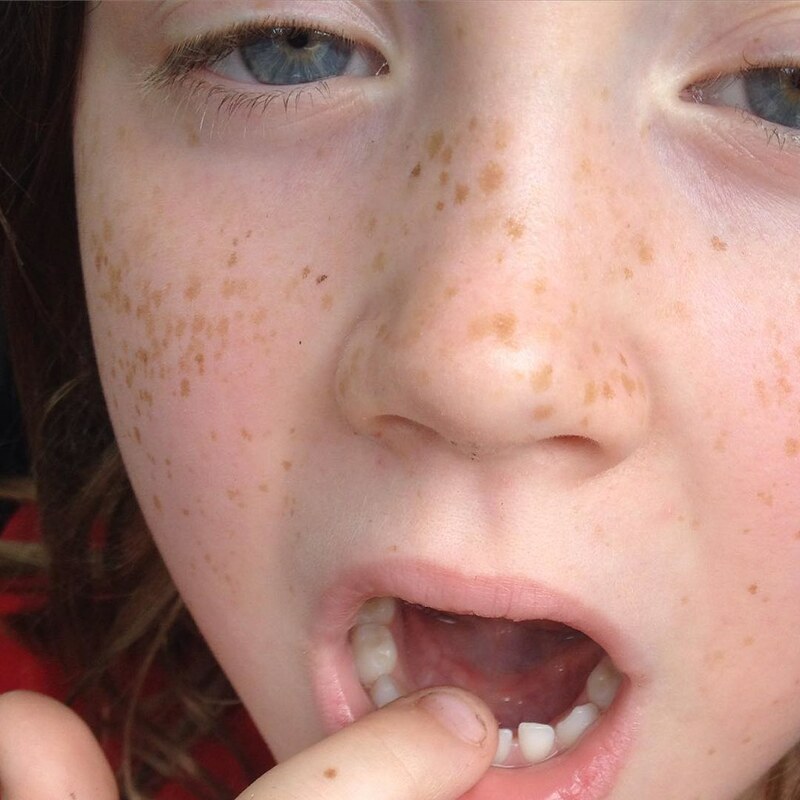 Merc and a “Miles from Tomorrowland” shirt made her face nearly split with happy smiles. Sleeping Beauty Legos/Duplos and a Frozen dress-up trunk rounded out the awesome presents. I think the past few days have kept her riding a happy feeling. 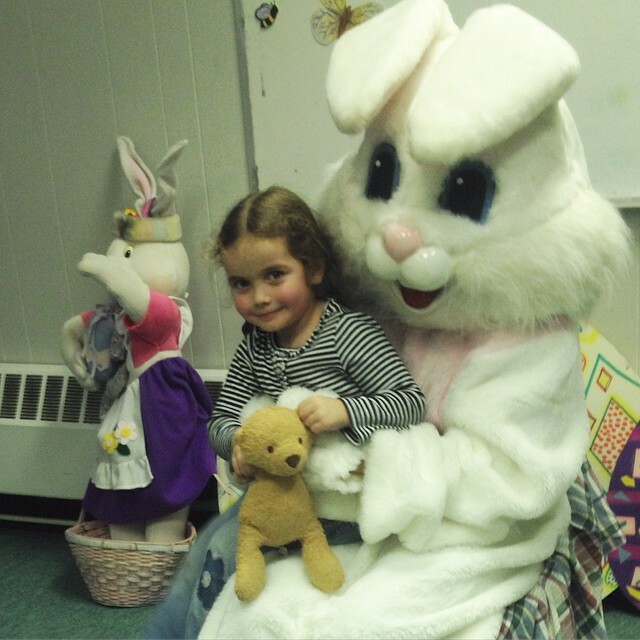 Saturday was visitsing the Easter Bunny and getting a balloon and chocolate eggs. She was so brave, after a failed (wouldn’t go up at all) and a supported (with me between her and the bunny) attempt to visit the bunny. Afterward, she was so proud of herself, telling me that she’d never not get a picture taken with a giant, imaginary and costumed thing (my words, not hers). Then we went to a friends birthday party. She had a blast. That is, up till the moment that everyone sang Happy Birthday to the friend and not her. It was momentary, she was easily persuaded to be happy again. The balloons and cake helped. 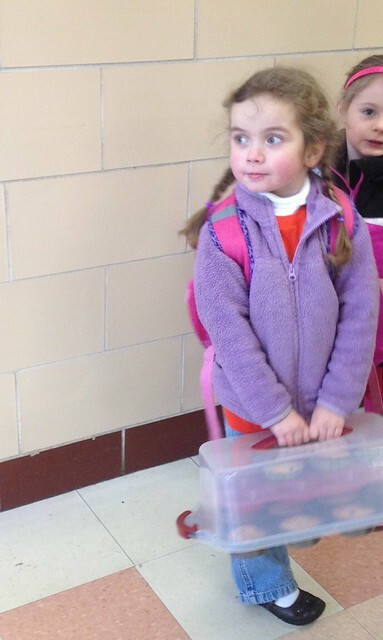 Today we brought blueberry muffins in for her class as a special (sort of healthy) snack. 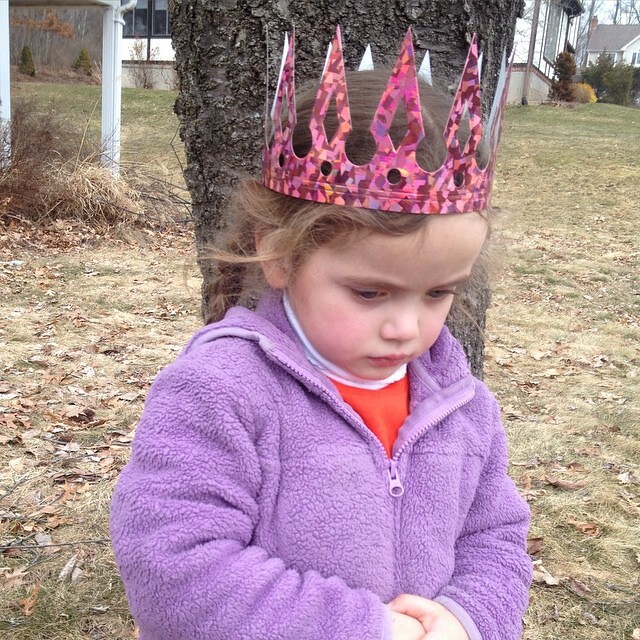 Her teacher gave her a special crown, and she was the birthday line leader. Then there was “chicken on the bone” from the orange store (Popeye’s) for dinner, followed by birthday cupcakes. She’s becoming such a remarkable little lady. Still very into snuggles and kisses. Daily. Smart, and quick to learn, but quicker to laugh, a deep and hearty laugh. She still says jamamas, but can write her name. Her “s” is a bit snake like, and I hope that doesn’t go away soon. 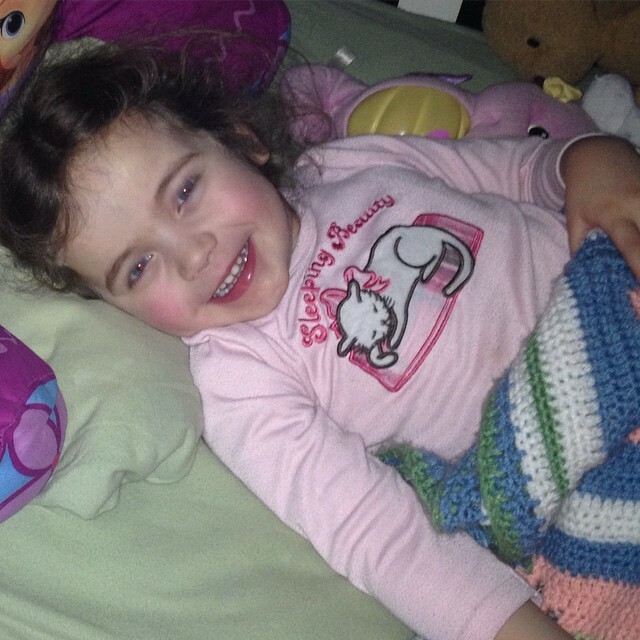 She will tell us when she’s tired, and is a dream to put to bed. She still has her Billy Idol mouth when she cries, but the tears never last too long. A grudge she can hold a bit longer, maybe half a day, but when she’s over it, she’s over it and wants to kiss and make up. She is a total sweetheart. I’m enjoying spending so much time with her. 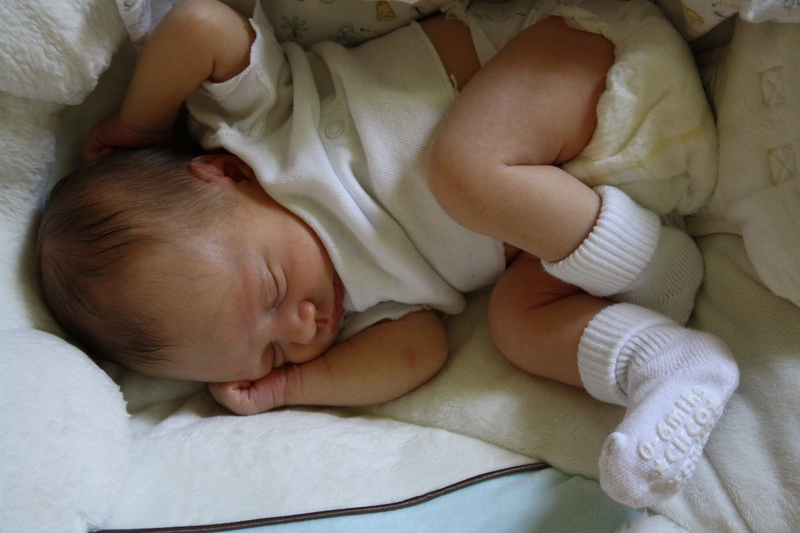 I regret that I didn’t get to do this with Teagan, though by this age, she was already a big sister. 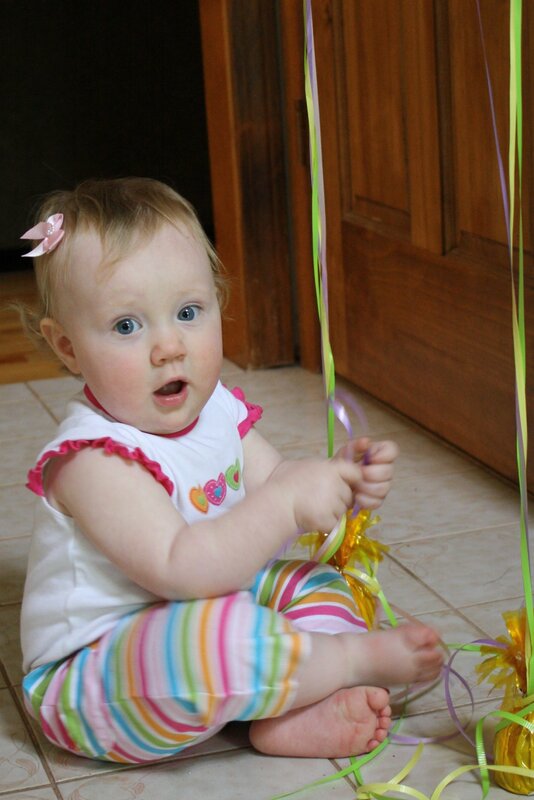 I’m looking forward to seeing her grow up, though I know I’ll miss my little baby. I hope she’ll keep snuggling. Pictures, because I can’t help myself. #Merc and the #MilesFromTomorrowland shirt were a hit. Can you see her vibrate with the happy? I think this image is what I kept going back to most of the day. 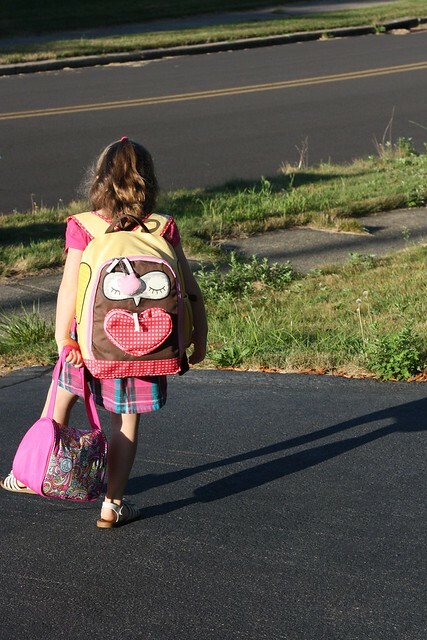 My (not so) little girl walking away to start a new adventure. I so wanted it to be a good adventure, one she enjoyed and wanted to be on. One with new things and excitement and friends. And there was no way I could ensure that it was. That made me sad. I know I can help shape how she responds to things, how she may interpret events and possible how she may influence them. But not what happens. I want her to be liked by class mates, to have lots of friends. I want her time in school to be as happy and joyful as possible. Of course, I want the same for Ashlin. 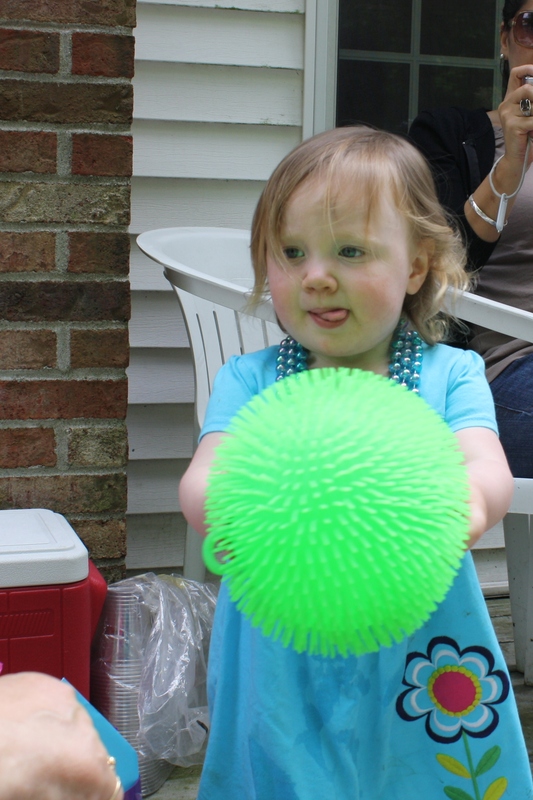 For my little peanut to succeed and remain the happy – and quirky – little thing she is. I want her stutter to be something that doesn’t frustrate her, that never holds her back. That stops her from shining. At least she looked back at me as she walked away. July 25, 2014 ~ We Had a Great Day! It was a super way to spend some time together! 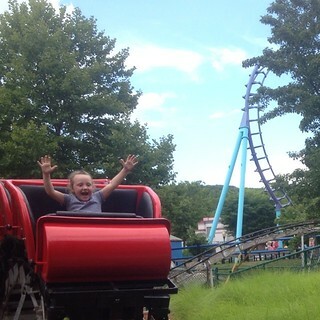 Lake Compounce with Teagan was excellent. She was so well behaved, even for being so excited. We packed a lunch and got there just after opening. I suggested we go on a few rides – the first I requested was the train ride. Ashlin and I had done the trolley, which was fine, but we hadn’t done the train. 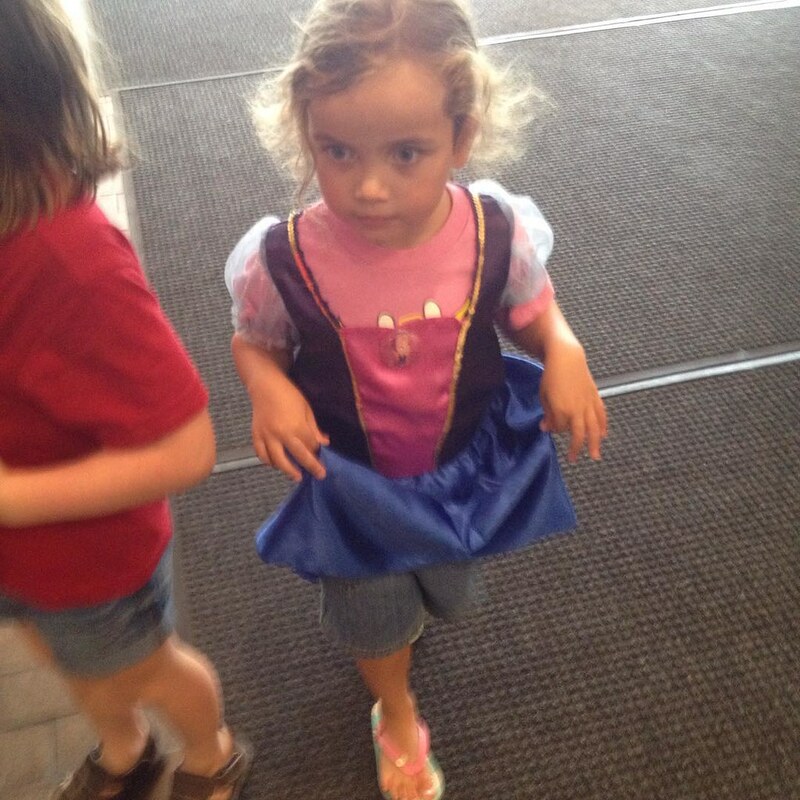 At first, Teagan didn’t want to, but after hearing that it would probably be the only ride I asked for, she agreed. And, she really enjoyed it, a lovely and picturesque ride on the lakeside. After the train, I suggested the carousel, which she was a bit resistant to as well, but then asked to stay on. Then we walked to the far side of the park so I could show her the American Flyer and the Gas n’ Go car rides. The Flyer ride made her a bit nervous – not scared – at first. But by the time it was our turn – a very short wait – she was ready to go. This turned into one of the favorite rides of the day. A giant swing shaped vaguely like an airplane. I don’t even know how many times we rode that, we just kept going back. 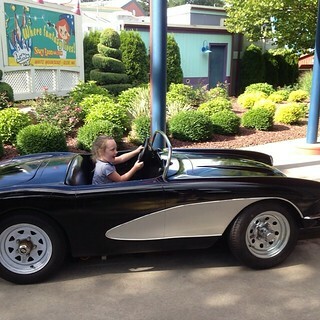 The cars were also a big hit, and these she asked to go on all by herself. It was a bit bittersweet watching her drive away, she’s getting so big, so grown up. We ate a packed lunch watching one of the shows – the singers – and I clapped for them. They didn’t have a big audience, but it was still early in the day. After lunch, Teagan went back to the flyers, and then back to the kid area. She asked to ride on the roller coaster alone. Such a rock star, she sat in the front seat several times, holding her hands up. This was the first trip to Lake Compounce that I haven’t ridden the roller coaster. 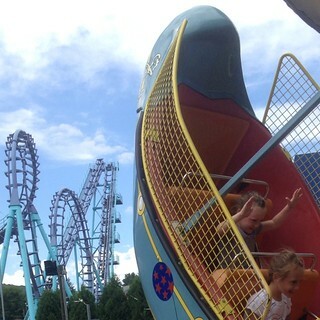 We also went on the Drop Zone at least three times. If I laugh, it’s not so bad. She’s lucky I have the stomach for all these rides! 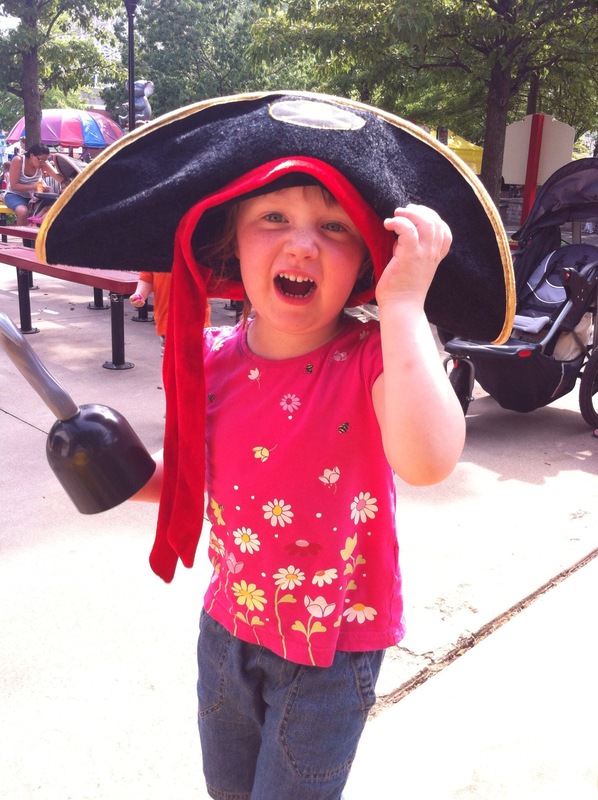 She did the Pirate Ship (hands up! ), Elephants, Caterpillar train and motorcycles a few times too. 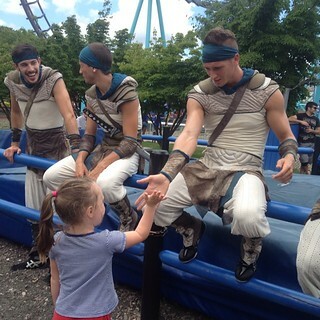 After hearing a bit from Ashlin’s trip Tuesday, she wanted to be sure to see the acrobats – trampoline artists – Cirque en Vol. And she loved them. She asked that we watch a second show, and also some of the practice. She was so enthralled that she stopped talking for about 10 minutes. This is big. 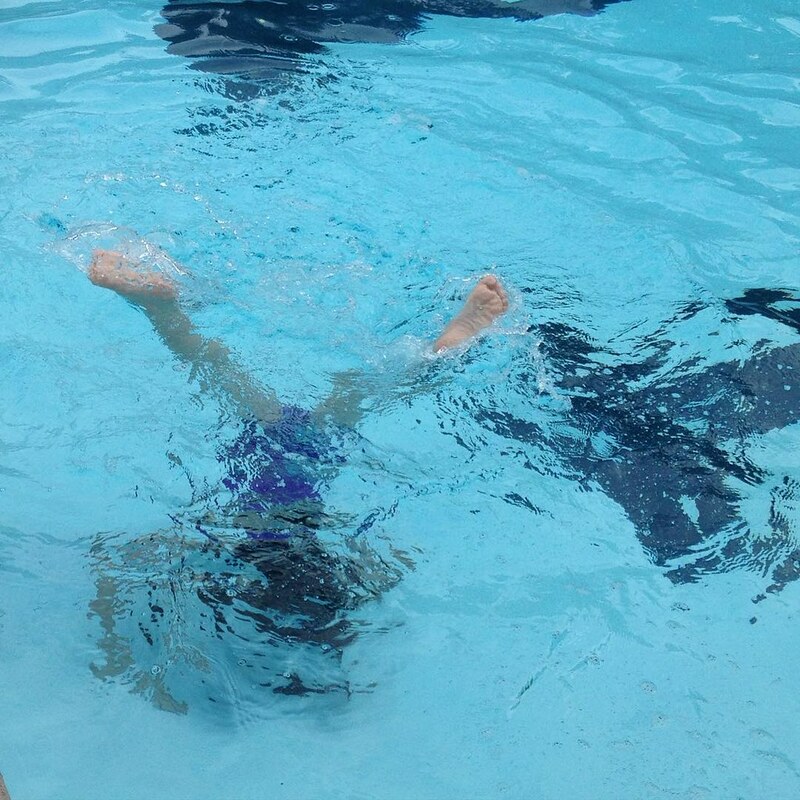 She giggled at practice, watching them get things better than the first show – they did drop a few of the juggling pins, over-rotate after a long trampoline run or make an impressive landing. Although the show was very good, watching her watch the show made it so much better. She was so good, all day, that we shared a treat – churros! – and ended up leaving much later than I was hoping. I’m very glad we were given season passes this year. I have a feeling we’re going to be spending a lot of time there this summer. 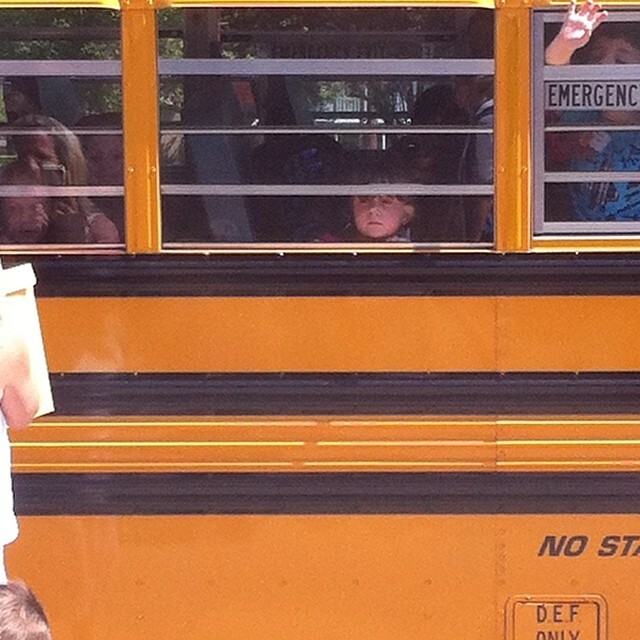 Teagan finally got to realize one of her dreams today – to ride a school bus! 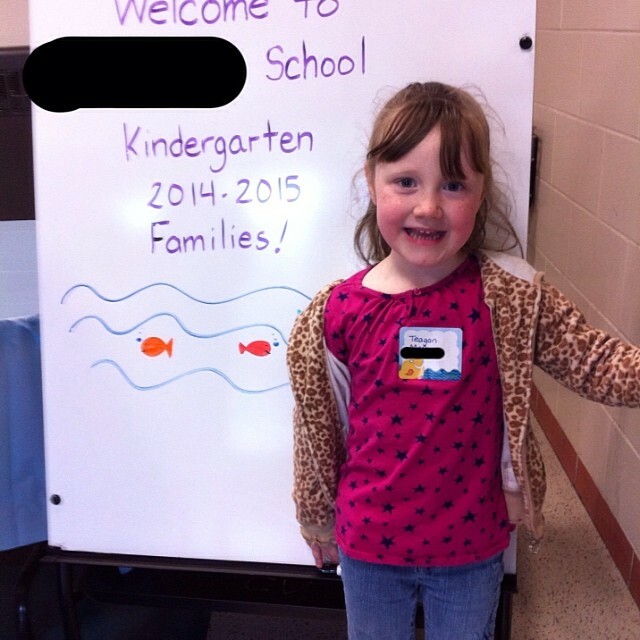 Today was orientation for the coming school year – kindergarten. Gah. I told her that there would be a bus ride before we left, and her eyes grew three times bigger. When they called the kids, she was reluctant to line up with the others. She held my hand and asked me to stand with her. I had to stay with the other parents. I told her that and that I knew she could do it, that would rock whatever it was they were going to do. I’m not sure she believed me. 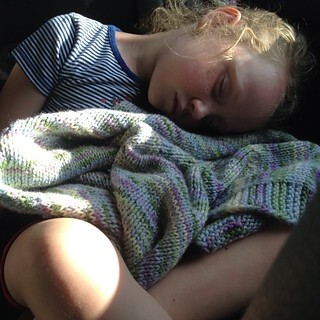 I think the lure of the school bus ride helped fortify her. She looked so small, climbing up into the bus. I’m glad she got a seat by the window. She looked so nervous. Sometimes she’s not very brave with new things, she needs some reassurance, some time to gather her courage. Driving to day care, she told me she didn’t like the bus – it was too loud and bouncy. I told her that buses are always loud, but the bouncy part was the fun part. Growing up, we learned where the biggest potholes and bumps were, and would start bouncing in our seats so that we had a lot of inertia going. When the bus would then hit the bump, we’d bounce really high, almost flying like on an amusement park ride. – Mama, what’s an amusement park? – Lake Compounce is an amusement park. – Oh. Ok. I like your car better. -Because you have music. There wasn’t music on the bus. – Sometimes buses have music. My bus did when I was younger. Maybe they didn’t have it turned on because it was your first time? She wanted to go into day care with her name tag on. I think she was really proud of that. May 28, 2014 ~ Five! Finally! Look at this girl. This where-did-the-time-go, oh-so-big girl. This girl who can spell a few words, read a few words, who is obsessed with Frozen. It’s been her going-to-bed music almost every night since Ashlin got a copy for her birthday back in March. She knows most of the words, the ones she’s not familiar with, she makes up. I love her made-up words. 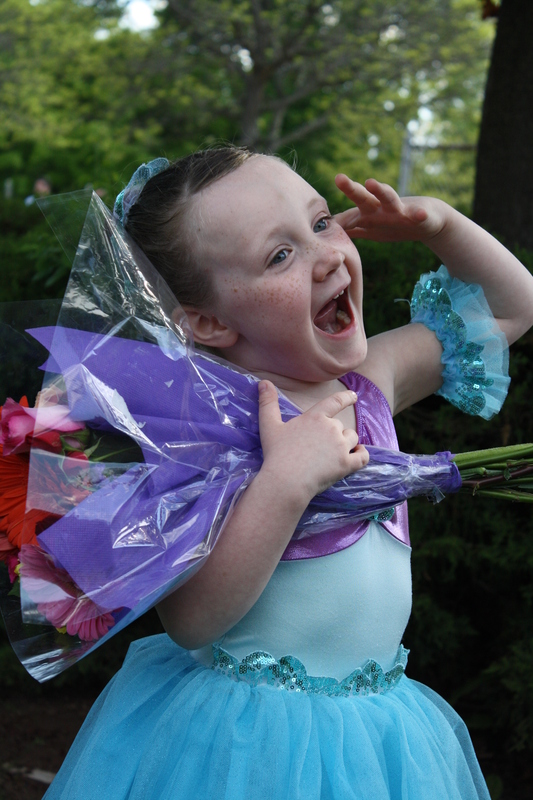 She’s been in her first dance recital – and rocked it! 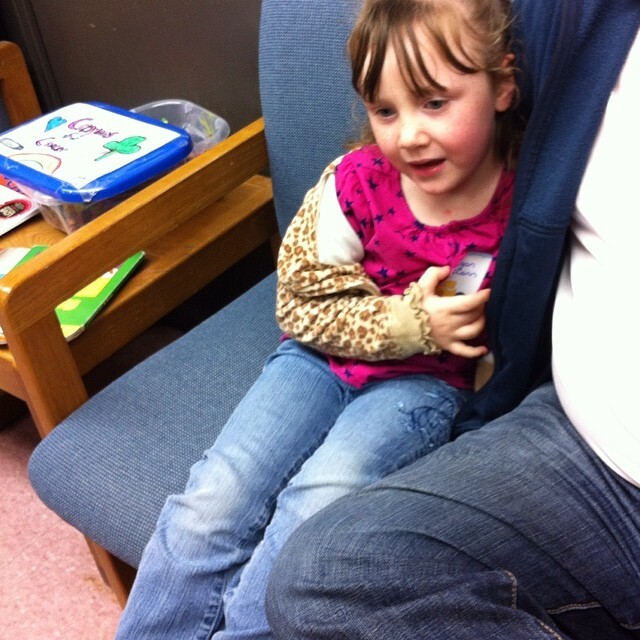 – and is officially registered for Kindergarten. 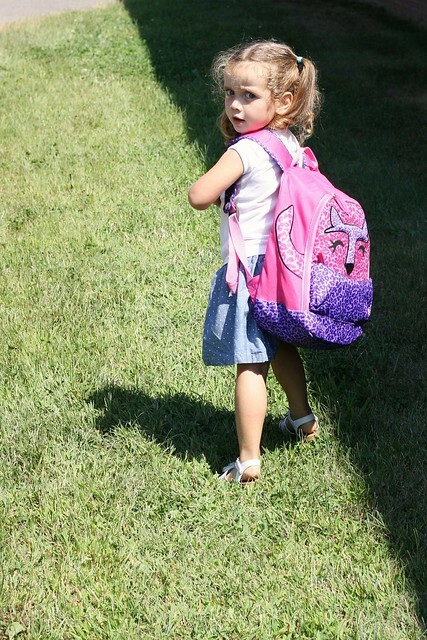 The school year can’t come fast enough for her, she’s so ready to be big, and ride on the bus. She can ride a two-wheel bike, (though she still needs the stabilizers). She is such a daredevil, always leaping before she looks. 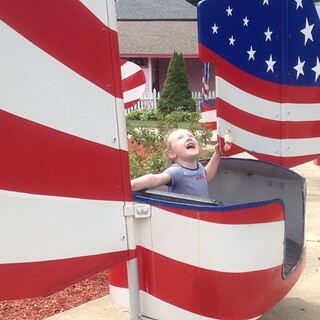 She loves the fast and the spinning rides, once she’s ready for them, and could go on the Drop Zone over and over and over, laughing the entire time. She’s slowly learning to think about what she does before she does it. She loves her sister dearly, will willingly share, usually without prompting, and hates to see her hurt. She hates to see anyone hurt, such a sensitive soul, the part of Toy Story where Andy may lose Buzz and Woody makes her cry. She is not scared of thunderstorms, and enjoys lightening and fireworks. If we could see fireworks every week, she’d never get bored. This summer, I’ll get to spend a bit more time with her than before, and I’m looking forward to learning more about her, and the amazing person she’s becoming. May 8, 2014 ~ Kindergarten? Already? I’m not sure when she got this big. But she is, as much as I may not [want to] believe it. So off we went. Our school system had late registration this year. All the prospective students parents were sent packages and given appointments. Everyone went to one school for evaluation and a parent orientation. After they collected the thousand forms in the office, the kids went with teachers to the library while the parents were sent to a meeting room. We were told that they were evaluating the kids – colors, shapes, letters, numbers, writing, coloring, cutting. A few powerpoint slides on the school and programs, a flyer for the Daisies, a few questions and answers and we got to go wait for Tea to come out of her session. They said she did great. She said she wrote her name and colored and got bubbles. She thanked one of the teachers. We now have to figure out if we want her to go to the “integrated day” program or the standard “contemporary” program. Growing up, I participated in a program similar to the integrated day, with First and Second graders in one class. I’m not sure if I was before first grade, kindergarten is very blurry. I do know that when my family moved, to a school without combined classes, I had a very difficult time adjusting. The teacher wasn’t very nice or understanding, and I spent a lot of time out in the hall. I would hate that to happen to our little girl. She may not be cut out for the ID program, temperament-wise, but she could flourish there. It’s so hard to know, to see the future. Stu and I will read up, see if we can get into a classroom observation, chat with my sis, the school psychologist… We will do our best to make the best decision for her. I do think she should do the Daisies though. (Daisies – not Pixies, like I remember). She really likes learning about things – even if she thinks she always knows the right answer – and this may be a good chance for her to learn and to participate in group activities. May 7, 2014 ~ Trike! Look at her go! She was so proud of herself Sunday. We were so proud of her. She’s growing up, losing what little baby she had left. 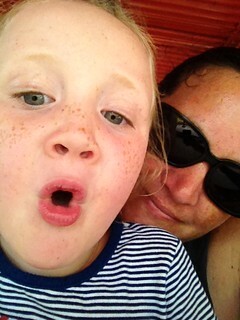 She wants to go on roller coasters, swim, go to kindergarten like her big sister. Slow down, just a little. Be my baby, just a little bit longer.